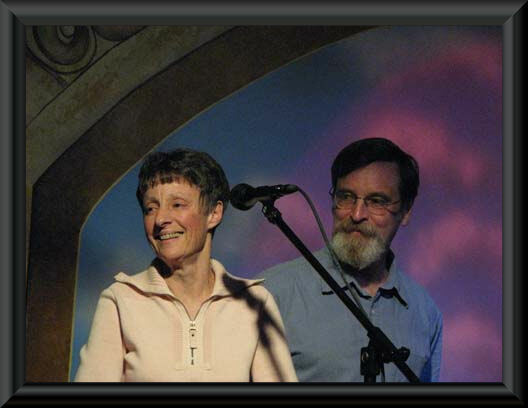 Miner and Valetta Seymour of Moundridge, KS were looking to host a concert series and book quality acoustic music featuring genres from folk to blues with a focus on singer/songwriters. 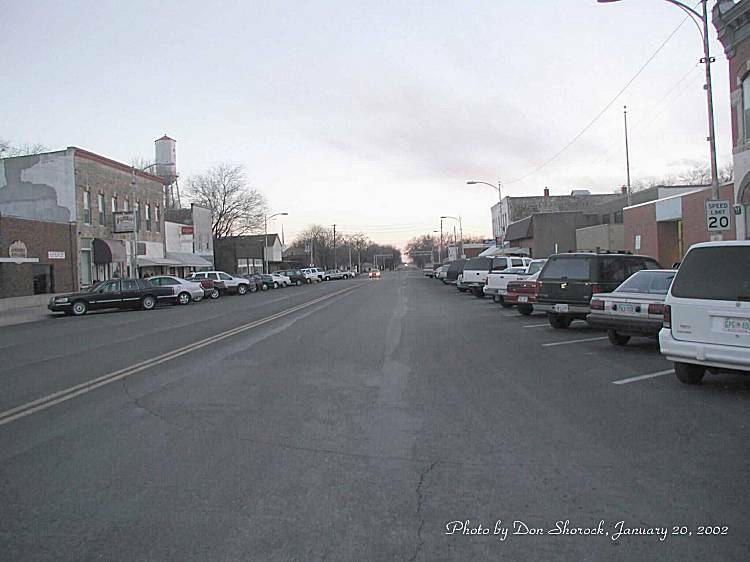 In 1993, Miner fixed up a small venue in a downtown Moundridge historic building and the Old Settler’s Inn (OSI) Concert Series was born. 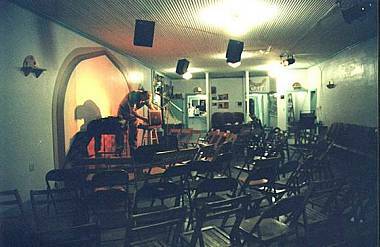 The first Moundridge venue upstairs had seating for 100 people where it ran from 1993 to 2001. 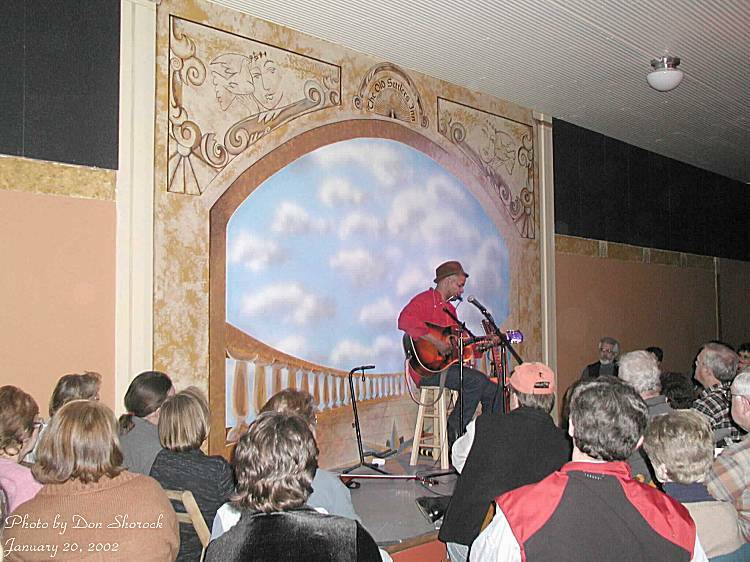 The OSI series moved downstairs at the Moundridge location in Fall of 2001 to a new venue that featured seating for 150. 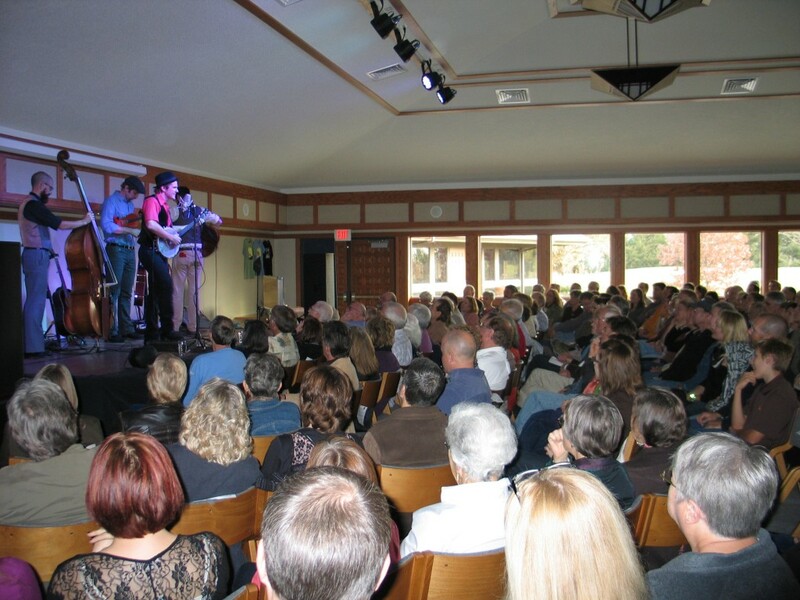 Tightly packed wood folding chairs may have induced cramped knees and numb rears, but the charming ambiance and great music continued to sell out the series year after year. Notable features included a spinning disco ball to greet artists back to the stage for encores and a blue sky mural painted by Elaine and Katie Williamson of Little River. For three years from 2009-2011, Miner continued to be the artistic director for the series but collaborated with Dyck Arboretum of the Plains who would be the new host just down the road in Hesston. 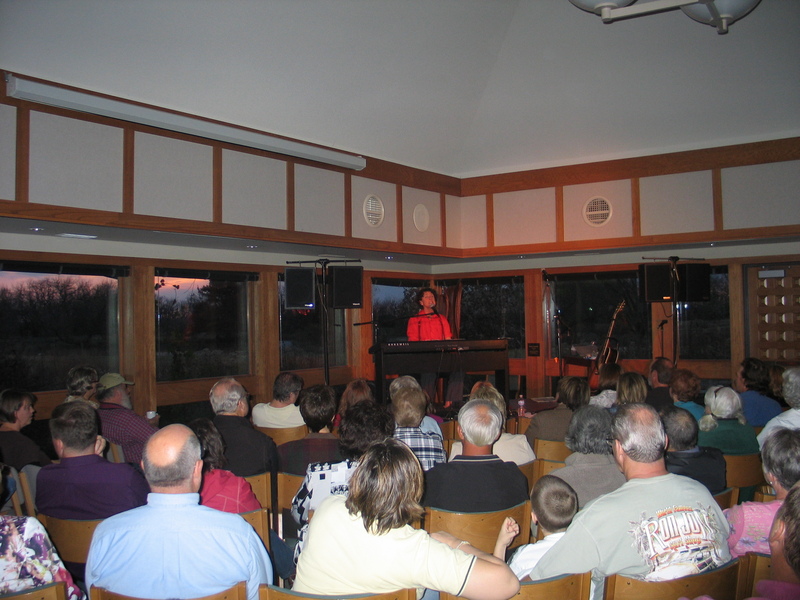 The visitor center with padded chairs held seating for 140 and the series was newly-branded as the Prairie Window Concert Series. In 2011, the Arboretum’s new Prairie Pavilion with seating for 253 would become the newest venue where it thrives today. 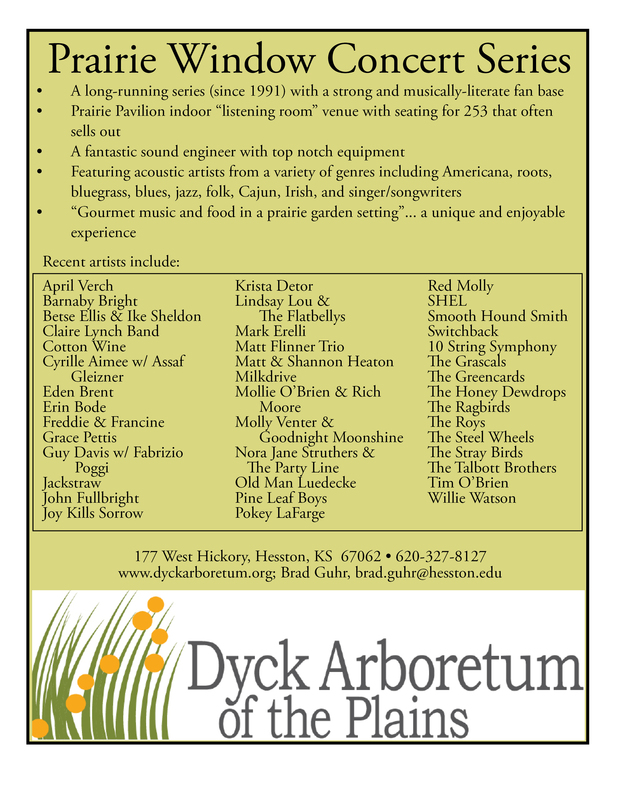 After a stroll in the prairie gardens, concert-goers can enjoy great live music and gourmet savory and sweet appetizers in the visitor center during intermission for an all-round unique and pleasurable experience.